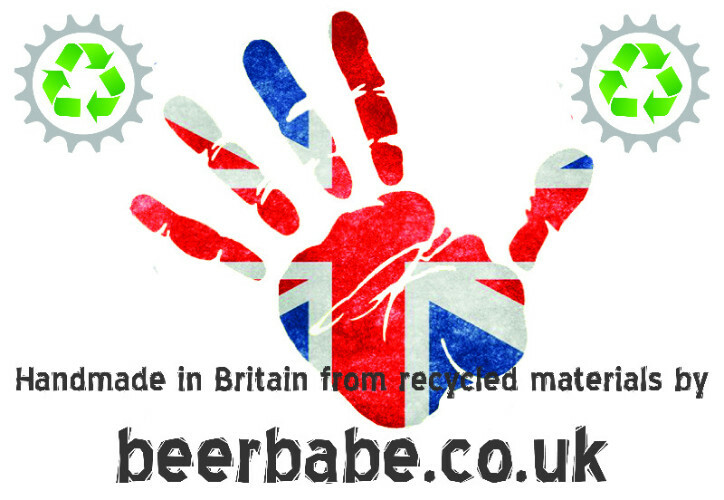 Here at beerbabe.co.uk, I use my passion and creativity to make fun and functional upcycled products out of discarded bicycle & beer waste. Many of these make novel eco-friendly gifts for both cyclists & non-cyclists alike. Or even a 'because I deserve it' gift for yourself. The business has only been going for a short time but it continues to grow from strength to strength. The number of different products available is also expanding as I develop new ideas to add to the range. If you don’t find what you are looking for, I can custom-make products such as frame packs and bags. Some of the custom items I have previously made have been added to the range available in the web shop. If you want to find out where I will be, click here. I can also make a range of trophies. Please Contact Me for a quote. Don't forget to check out my Blog for travel, cycling and beer related ramblings.